What do you do with a Frenemy? A frenemy is a person who pretends to be your friend or once was your friend, and then turned on you. Just because I teach and share the spiritual teachings of Aloha every day, doesn’t mean all of my relationships are filled with Aloha. Bill (not his real name), was someone I respected in the community. He was connected to teachers and colleagues I admired. Over the years, I started hearing reports about Bill spreading negative comments about me in the community. It hurt. Especially because I felt I wasn’t deserving of that negative criticism. Still, I sent him referrals, clients of mine, because I acknowledge his gifts. One day, I sent a student of mine to him for healing. She literally came away weeping because there was so much negative commentary about our work and the lineage we are a part of throughout her session. This wasn’t the first hostile interaction and it wasn’t the last. I kept hearing different things from different members of the community over time, and I just put my hurt on the back burner. My teacher had no idea what he was asking. No clue about my history with Bill. If spirit needed me to step in and hold a sacred space, then I was going to do it no matter what. I went there with complete aloha and love in my heart for him. I chanted and prayed for him. I supported my Kumu in whatever he needed of me in this time. And for me, it was a deep healing on so many levels. Bill was able to come out of his illness after a long period of recovery right before they pulled the plug. After several weeks in the hospital, he was finally home and improving. And then…he fell down a set of stairs. After six weeks of laying in bed, barely able to move, he wrote to me. Told me about his accident. Shared that it had been six weeks that he hadn’t been able to walk. And to my surprise, Bill said yes. So, I made my way over there, again, just only feeling love for him. When I walked into a room, I saw a man who had once been very strong and vibrant and healthy, now definitely was in need of support on every level. He had lost a ton of weight. He had this horrible injury on his knee. Hooked up to a machine with a tracheotomy and definitely in a vulnerable state. I determined to give my best. I brought some medicine for ho’oponopono which is made with Limu Kala, the seaweed of forgiveness. A salve comprised of awa to relax the area and dull the pain. I lovingly worked on him. I replied with an offer to come again. The second time I went back, I had an opportunity to really do my work. We began to work through some of the spiritual and emotional aspects of what he had going on. Why do you think you fell ill at a time when you were really on the road to a vibrant recovery? Bill shared with me that he had been really angry at his community. He had felt like they weren’t serving each other in the way he thought that they should. He was discouraged. Angry. Lashing out at the community in different ways. In fact, it wasn’t even in my thoughts whatsoever. Going through the process of loving with all my heart had washed the slate clean. I just confirmed and acknowledged that he was a new man. I told him I loved this version of Bill. In truth, I was honored to be there to work with him. Honored to have been chosen to serve and in the serving humbled by the power of healing. Not of his healing as much as my own. Months went by, and then I saw him at the beach in his wheelchair. When I thought on him for the following months, I only thought on him with positive thoughts and healing energies. Last month, I got an email from Bill. “Love you and thank you for your support when I needed it most. Eternally grateful. Aloha pau’ole (undying love) Hauoli Makahiki Hou (Happy New Year)!!! This email made my year. There was much more at work than just offering a technique. Loving touch, and care is what had made all the difference. This is what happens when we stand in a place of Aloha, no matter what. My Auntie Mahi Mahi calls it the mercy seat. No matter what has happened ever, or whatever will happen, all is forgiven. A space of unconditional love and aloha. I want to know, what situations are challenging you with a choice – to swim in a negative thought process or fill your heart with aloha? I read every post. Post a comment and let me know. 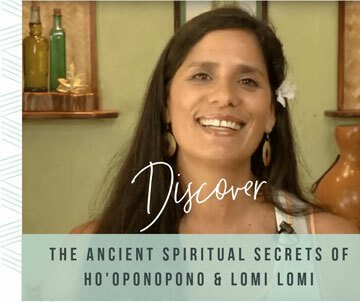 PS: I’m creating a new opportunity to bring more Aloha into my experience, into your experience and an exciting way for us to connect. Share. Invite more Aloha into the water of life. Watch the ripple effect that goes out to ourselves, our family, and our community. Excited to share about it in the coming weeks! And if you’re really eager…get on the waitlist here to get a personalized invitation from me!